After a sustained onslaught of negative publicity, you would think that Americans had lost faith in the police, but a recent poll in Philadelphia gives some insights on the regard ordinary people really have for the men and women in blue. In the City of Brotherly Love, a whopping 72 percent of respondents to a recent Pew poll said they had either “a great deal” or “a good amount” of respect for officers, a year-on-year increase of 5 percent for the city’s peacekeepers. Sixty percent of black and 60 percent of Latino residents expressed the sentiments. Approval ratings like these dwarf those given to political leaders, many of whom have joined in a series of afactual, inflammatory attacks, either standing silently by while the police profession was disparaged or joining in the chorus. The outcome of the tragic shooting in the Bronx will be known soon enough, but some in the media wasted no time to reach back a third of a century to cite the case of Eleanor Bumpurs to suggest an ongoing, wholesale slaughter of people at the hands of the police, carefully scrubbing the overall context of inconvenient facts. Since the Bumpurs incident in 1984, the NYPD has responded to 150 million calls, including 140,000 calls for the emotionally disturbed last year alone, with peaceful resolution almost invariably the outcome. Irreparable damage has been done to policing as a profession. 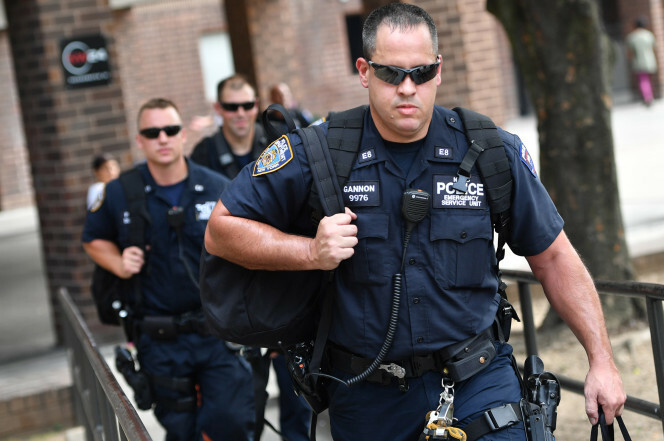 City after city faces an exodus of experienced officers who have either physically retired or mentally zoned out: 90 percent of NYPD cops would not recommend the job. Some cities are facing an epidemic of murders and shootings, while cops are less likely to engage. This sense of disorder is reflected in the same Philly poll: Public safety has catapulted to the top of the list of concerns of city residents, with 44 percent citing it as their biggest worry. Philadelphians and many other Americans are no doubt troubled by the neutering of the police. An elite — including more than a few who believe we should abolish the police altogether — have captured an incredible amount of public attention as they relentlessly undermine one of the nation’s most vital democratic institutions. The rule of law can only exist in a teeming city like New York through the sure knowledge that the police will be there to sort things out when innocent people are attacked or their rights trampled upon. An entire industry of lawyers and consultants has sprung up to criticize every action of the police. Of course, the cops themselves never get asked anything about the realities of the work they do. This industry — unelected and unaccountable — will not stop, it seems, until every police department is completely sclerotic and risk-averse. Good policing to them is no policing at all. Many activists assume people hate the police as much as they do. They should look at the many polls that consistently reflect high rates of satisfaction with police officers — startling when you think that cops have a conflictive, adversarial job. It’s become politically incorrect to argue that the bad actions of a few don’t represent all police officers. Or that some highly referenced cases of abuse are in fact justified. This cabal has completely silenced the good and decent majority. I was doing a BBC radio show recently when another guest, an African-American mother of a murdered Chicago child, spoke of the trust she places in the police. They are the people she turns to when there are troubles where she lives. Eugene O’Donnell, a former NYPD cop, is a professor of law and police studies at John Jay College of Criminal Justice.